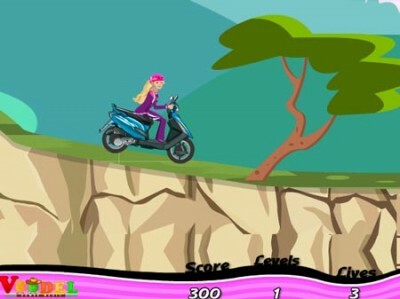 Cute Barbie is riding her powerful motorbike. Collect the stones and gain points on your way. Be careful though – the road is dangerous. You have three chances to make it.